On Thursday, the international body that monitors compliance with chemical weapons treaties confirmed Britain’s assessment that the toxin used in Salisbury, England, against the Skripals was a powerful, military-grade agent known as novichok, which experts say was developed in the Soviet Union. The team “notes that the toxic chemical was of high purity,” it added, lending support to Britain’s claim that the nerve agent was manufactured with a degree of expertise and sophistication strongly indicating that a national government was responsible. But the agency did not try to say where the chemical was made, or by whom. Russia, which had demanded that the organization take over the investigation from Britain, was quick to dismiss the findings. Maria Zakharova, the spokesman for the Russian Foreign Ministry, told reporters that the report was part of a continuing British plot against Russia. Mr. Skripal, 66, is a former Russian military intelligence officer who has lived for several years in Salisbury; his daughter, 33, lives in Russia and was visiting him at the time of the poisoning. “The attack on Sergei and Yulia Skripal in Salisbury was the first time a nerve agent had been deployed in Europe since the Second World War,” Mr. Fleming said. On Wednesday night, the Metropolitan Police released a statement attributed to Ms. Skripal, turning down a Russian offer of consular assistance, adding another irritant to worsening relations with Moscow. Russia has repeatedly requested access to Ms. Skripal, accusing Britain of improperly denying it contact with one of its citizens. Russian officials have ridiculed British accusations, while floating an array of theories, some of them contradictory, about what happened in Salisbury. They claim that neither the Soviet Union nor Russia ever had a novichok program, that other former Soviet bloc countries could have supplied the novichok, that the toxin involved was not novichok, and that the British might have poisoned the Skripals. The statement attributed to Ms. Skripal, 33, met with derision from the Russian authorities, who described it as “an interesting read,” pointedly noting that there was no way to verify it, and suggesting that the remarks raised more questions than answers. Ms. Skripal was released from a hospital in Salisbury this week after more than a month of treatment for the poisoning, but said she was still enduring the effects of the attack. She noted that her father, who lives in Salisbury, while no longer in critical condition, remained in a perilous state. A police officer who was exposed to the chemical early in the investigation, Detective Sgt. Nick Bailey, was treated at the hospital and released last month. The poisoning has seriously worsened ties between Britain and Moscow, setting off a chain events that led to the expulsions of hundreds of diplomats around the world, including from Britain, Russia and the United States. The British police said last week that Ms. Skripal had been made aware of Russian offers of assistance, and that she had turned them down, prompting Russian officials to insist on getting proof that she was acting of her own free will. The case, filled with high-level intrigue and unexpected twists and turns, was marked by another unexpected development last week when Viktoria Skripal, a 45-year-old Russian accountant and relative of the two poisoned Russians, said the British authorities were untrustworthy and cast doubt on their accounts. In an interview, Viktoria Skripal said she was “scared” for her relatives. 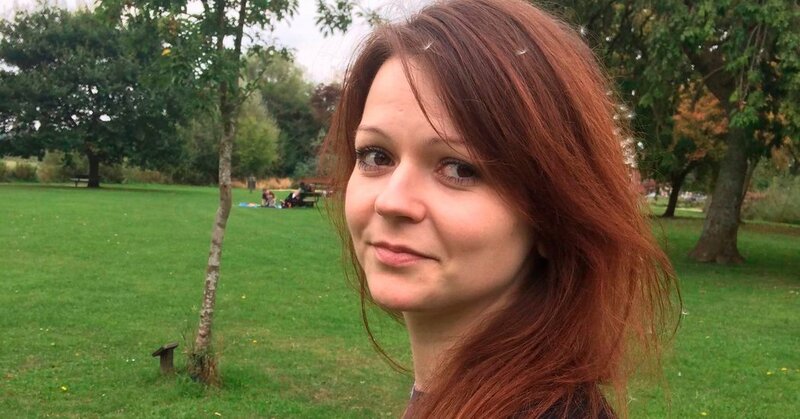 Her comments came after she recorded what she said was a phone call with Yulia Skripal, a copy of which she gave to Russian state television, which broadcast it. Attack, reckless, Russia, says, Shows, Skripals, U.K.